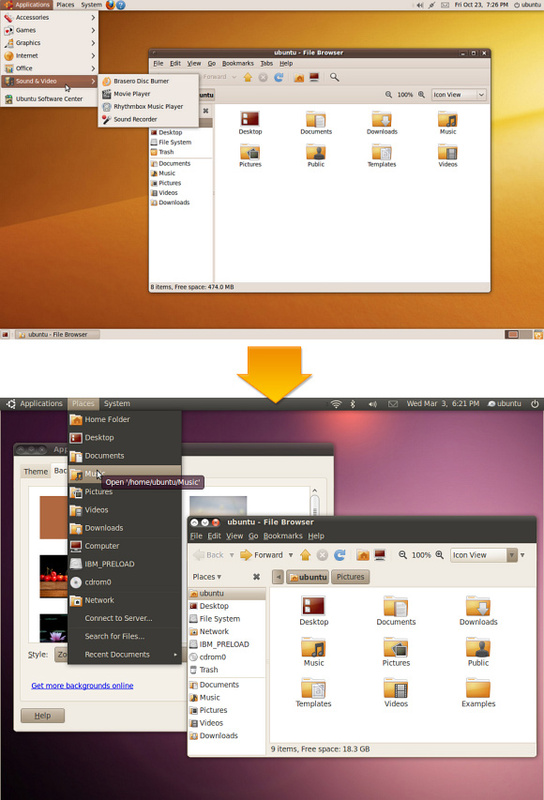 With Ubuntu 10.4, codenamed Lucid Lynx, Ubuntu will change its look completely. Everything will be brand new; the logo, the user interface, and the color scheme (no more brown). It’s set to be released on April 29, less than a month away. 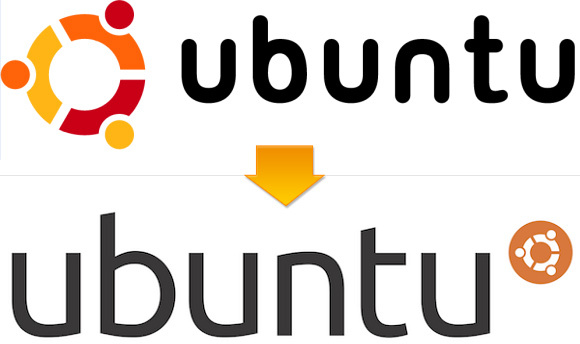 We are very curious to see if this makeover will give Ubuntu a boost in popularity. It’s already the most popular desktop Linux distribution, but will this new look, this new branding, make it easier for Ubuntu to cast its net even wider and grow the Linux user base as a whole? After all, looks do matter, especially if you want to reach the broad masses and steal users away from other operating systems. Overall, the new Ubuntu will have a sleeker, more stylish look. According to Ubuntu’s branding page, the overall design theme from 2004-2010 was “human”, while the new version uses “light” as its overall theme. There’s always an element of subjectivity when judging what looks good and is appealing, and then there is the usability factor to consider, but we think most people will prefer the new style. As we mentioned in the introduction, what we’re really interested in is how these changes will affect Ubuntu’s popularity. Will the new, sleeker look bring in more users to Ubuntu? Good looks is far from the only factor that users consider, but you’d be hard pressed to argue it doesn’t have a big impact. If Ubuntu (and Linux in general) wants to attract the broad masses, usability improvements alone won’t matter, things have to look good and deliver a consistent user experience. The bottom line is that the more attractive Ubuntu becomes, the easier it will be to market to non-Linux users. These are the people Ubuntu has to pull in if it’s to grow the Linux user base as a whole. It has to steal users away from Windows and Mac OS X, and looking at least as good as these will pretty much be a must. What do you think? Do you approve of Ubuntu’s makeover, and do you think it will help it gain users? While the logo and some of the UI changes are definitely enhancements, I don’t necessarily know if it’s all for the better. There are certain things about the new UI that really bug me, actually, and not just because they’re different (I like different, when different=better). All they’ve basically done (with the exception of some minor things) is throw on some new colors, while completely ignoring some pretty relevant features. The borders are large, the buttons are clunky, the icons are uncomfortable. People may be initially attracted to Ubuntu for various reasons, but I doubt the new UI will be one of them. The way it looks to me is that they designed it to fulfill the basic needs of people who are just starting out, and hoping that they download a new theme from some directory. Which is fine, but not very user friendly. As a whole I welcome the changes, but only because they don’t really change anything for the worst and only give curious people a new reason to check it out with a fresh install. Of caurse, that’s just my humble opinion. Not like I’ve developed an Operating System before. Happy April 1st! 😉 Nice one! @Stefan – this is definitely not a joke. I’ve been following this from Ubuntu for a while. Nice joke Tim Stiffler-Dean, i like your since of humor. Best regards. That’s two who actually think this is an April Fool’s joke? Well it’s certainly a bit of an improvement (I have no idea why they persisted with the brown scheme for so long), but it doesn’t have any of the bling factor that Windows 7 and OSX have. The basic problem is that the GNOME UI is bloody awful in this day and age, totally outdated, unattractive, clunky, simplistic and not pleasant to use. Yes, committed Linux/Ubuntu users may appreciate the new design but I can’t see too many new users being tempted away from what they already have just by this GUI to be honest. Still, a step in the right direction but most users will need a far more compelling reason to switch. It’s a good job it’s free! A month late on this one. I do believe stability would bring people to Ubuntu. Not some silly change in look. The brown wasn’t that bad. Confirmed Ubuntu user over the long trem. I spread the word and floks listen. Funny folks don’t convert faster. I expect Ubuntu to dominate soon. Many small improvements make it a better system each time! Keep up the good work, and Thank yo for trouble free computing all this time!